I am always looking for leads on Zelda Consoles and some various editions of the games, so feel free to Contact me if you know of (or have) any for sale! 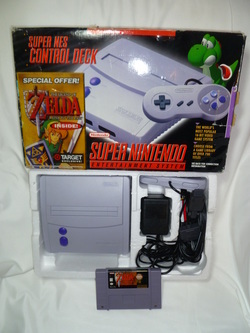 My collection of console and accessories will be listed from oldest to newest. Other Info: Unlike the majority of other Zelda edition systems that Nintendo has released, the Zelda edition Gamecube console was simply a standard console that came in three color variations (black, sliver, and indigo.) 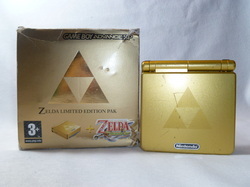 The game was packaged with The Legend of Zelda Collector's Edition Demo game disc, which had full versions of The Legend of Zelda, Zelda II: Adventure of Link, The Legend of Zelda: Ocarina of Time, and The Legend of Zelda: Majora's Mask as well as a demo version of The Legend of Zelda: The Wind Waker. The only thing about this edition of the Gamecube that distinguishes it from a standard Gamecube is that the packaging for the console had a foil sticker advertising the demo disc. Other Info: See a detailed comparison between the official Zelda DSlite and the replacement/custom Zelda DSlite here in my blog. Other Info: The special edition Wind Waker WiiU was released with a special edition black game pad with golden Hylian detailing framing the screen. The system itself is also black and is identical to the Deluxe WiiU Black system in terms of memory capacity. 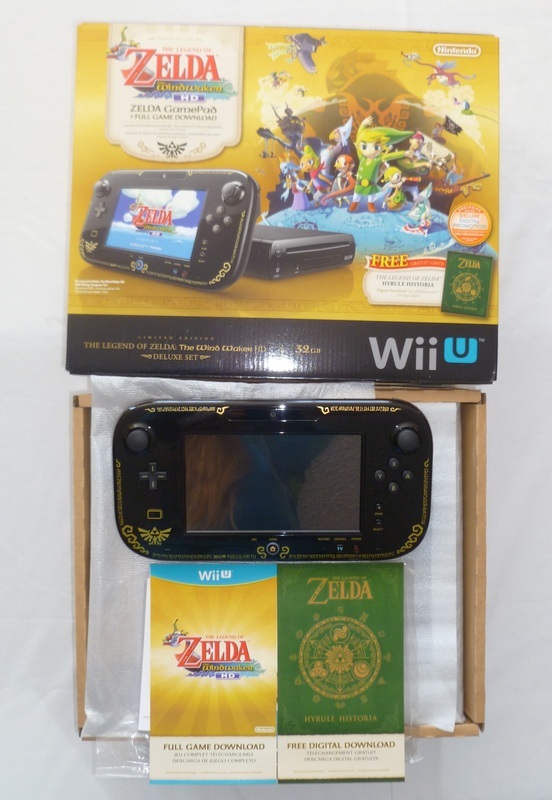 The Wind Waker edition also included a digital download of The Wind Waker HD as well as a digital download of the famed Hyrule Historia. Other Info: Released on November 22nd, 2013 on the launch day of The Legend of Zelda: A Link Between Worlds, a special edition golden 3DS XL joined the tradition of golden Nintendo systems that commemorate the Zelda franchise. 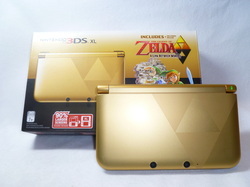 This golden system features the Triforce on its cover and a Dark Triforce from Lorule on its black, back-half. The system also came with a digital download of A Link Between Worlds. Other Info: This edition was released simultaneously with it's red counterpart. I included this system since Link is very predominately featured in the front left side of the artwork. Other Info: This edition was released simultaneously with it's blue counterpart. I included this system since Link is very predominately featured in the front left side of the artwork. Other Info: This system was the first rechargeable handheld system from Nintendo that did not included a charger with the initial purchase. Nintendo argued that they wanted to keep the price below $200 USD, so removing the charger 'saved' the consumer $15. This statement would be true, considering that Nintendo felt the people who were to purchase the New style of XL would be previous owners of other 3DS models, thus already owning a charger. Those new to the market would have to purchase a charger separately. Other Info: Following suit of the Majora's Mask New 3DS XL, this handheld did not come packaged with a charger. The artwork is similar to a green 3DS cover that was released earlier the same year. The system was released a week after the launch of The Legend of Zelda: Tri Force Heroes, yet the system itself is not directly related to the new game, unlike many of the other special edition 3DS's that have we've seen previously.